Size: 1 1/2" x 5 1/4"
This is the famous cloth "Remove Before Flight" keychain. This is the 'red-bordered/blue' version of the patch created for ALL of the branches of the services that participated in the protection of our skies during Operation Noble Eagle. 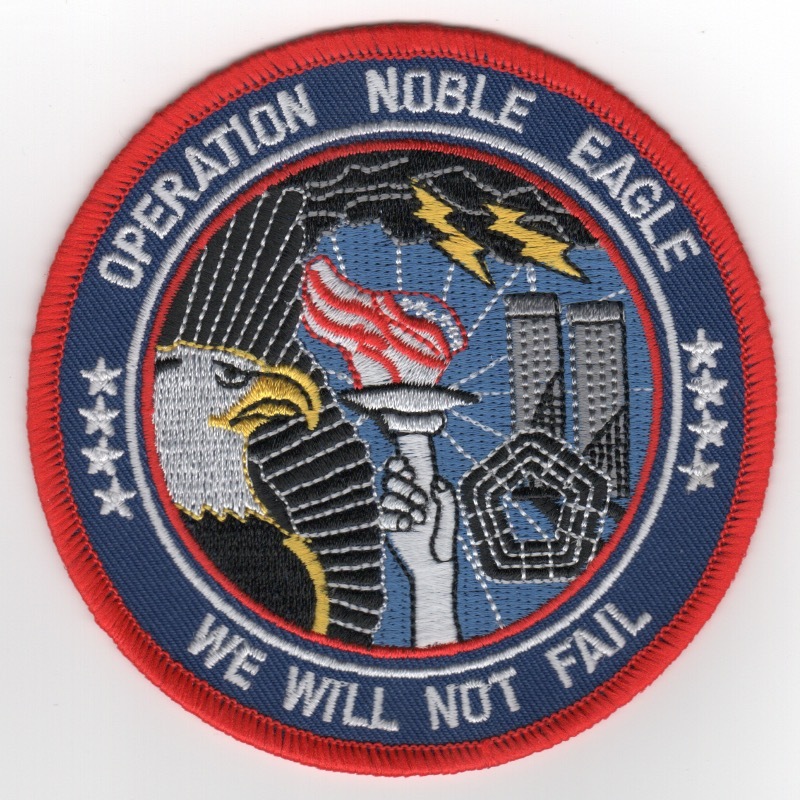 It states "We Will Not Fail" and depicts the "Twin Towers", the Eagle, and the Statue of Liberty flame (in R/W/B colors). It does NOT come with velcro attached. This is the desert version of the patch created for ALL of the branches of the services that participated in the protection of our skies during Operation Noble Eagle. It states "We Will Not Fail". This is the blue version of the patch created for ALL of the branches of the services that participated in Operation IRAQI FREEDOM. It states "We Will Not Fail" and shows the chains of Iraq being broken. This is the desert version of the patch created for ALL of the branches of the services that participated in Operation IRAQI FREEDOM. It states "We Will Not Fail" and shows the chains of Iraq being broken. 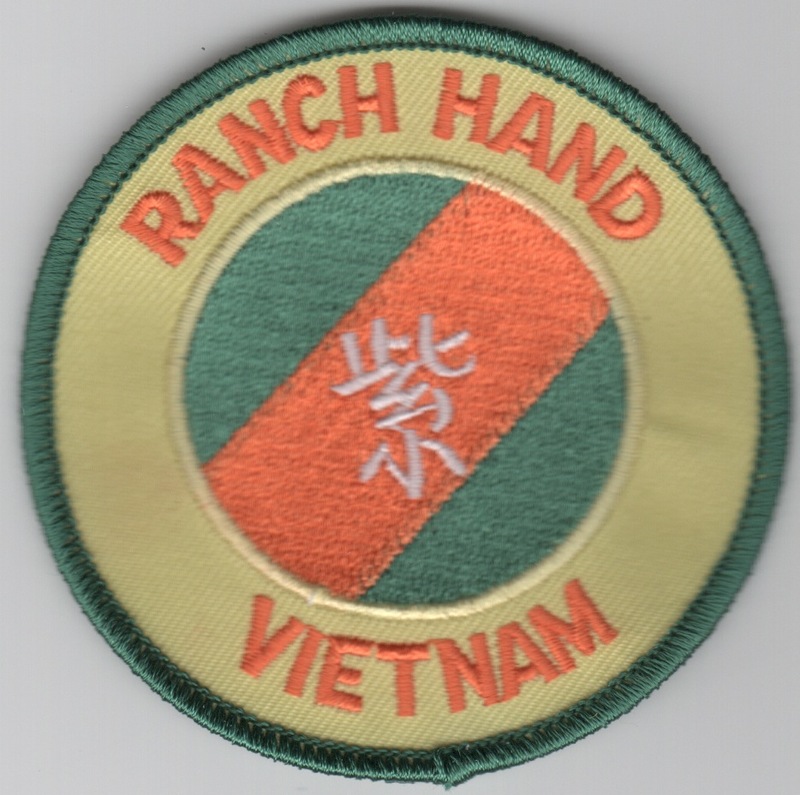 Operation Ranch Hand was a U.S. military operation during the Vietnam War, lasting from 1962 until 1971. Largely inspired by the British use of 2,4,5-T and 2,4-D (Agent Orange) during the Malayan Emergency in the 1950s, it was part of the overall herbicidal warfare program during the war called "Operation Trail Dust". Ranch Hand involved spraying an estimated 20�million U.S. gallons of defoliants and herbicides over rural areas of South Vietnam in an attempt to deprive the Viet Cong of food and vegetation cover. Areas of Laos and Cambodia were also sprayed to a lesser extent. Nearly 20,000 sorties were flown between 1961 and 1971. This is the large Operation Iraqi Freedom backpatch denoting all the countries that participated in some form to the latest Iraqi conflict. This is the "Program Office" patch for the Combatant Command Interoperability (CIPO) patch. This is the Headquarters patch for the US European Command located in Brussels, Belgium (I think). This is the "Department of State - Air Wing" patch. This is the "logo" patch that goes onto the front of the ballcap only. 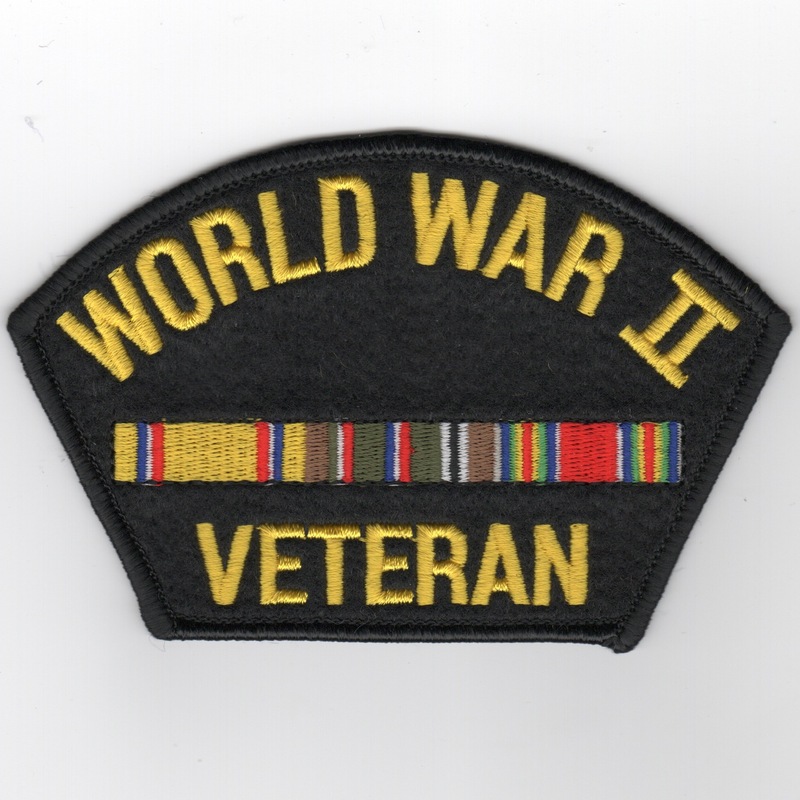 It shows the ribbons of World War II and says "VETERAN" along the bottom. This is something new I just thought about creating and wanted to see if there is any "interest" in them.